Every great adventure begins with a new 2018 Toyota RAV4. When you buy or lease a 2018 Toyota RAV4 SUV, you’ll enjoy rugged performance and modern refinement wherever the road leads. From its award-winning safety features and impressive cargo space to its intelligent technology and bold look, the new 2018 RAV4 provides everything you need for an exceptional journey. Once you stop to compare the new 2018 Toyota RAV4 to competitors like the 2018 Honda CR-V, 2018 Nissan Rogue and the 2018 Chevrolet Equinox, it’s clear the only adventure-worthy SUV is the new 2018 Toyota RAV4. 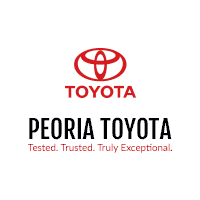 Visit our Toyota dealership near Bloomington, IL, to see for yourself! *Disclaimer: This is for comparison only and may not reflect actual in-stock inventory. When you stack comparably equipped Honda, Nissan and Chevy SUVs up against the 2018 Toyota RAV4, you’ll find that the new RAV4 will cost you less than the new 2018 Nissan Rogue and the 2018 Chevrolet Equinox crossovers. 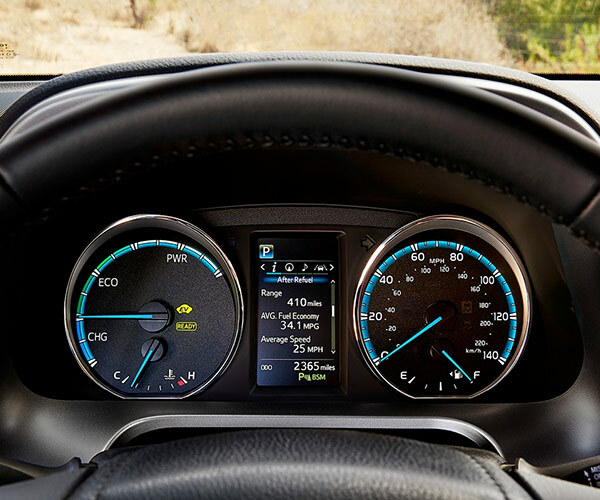 It also offers more horsepower than competing Nissan and Chevy models and allows you to customize your performance with ECO, Sport and EV driving modes. If you want to hitch up a trailer for a long weekend, go ahead knowing that your 2018 Toyota RAV4 can tow up to 1,500 pounds. 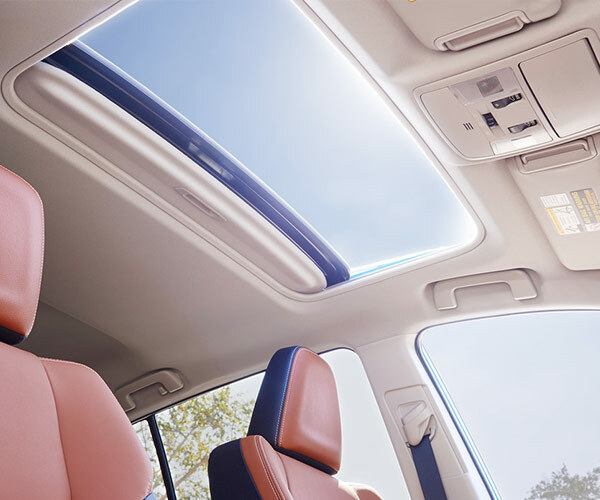 Once you’re ready to go, turn on your optional Entune™ Premium JBL® Audio with Integrated Navigation and App Suite and get on your way listening to optional SiriusXM® Satellite Radio through your crossover’s six speakers. You can easily control your entertainment with standard voice-activated audio controls, which can’t be found on the 2018 Honda CR-V or 2018 Chevrolet Equinox SUVs. In terms of safety, you’ll find that no other brand gives you more for your money like Toyota. 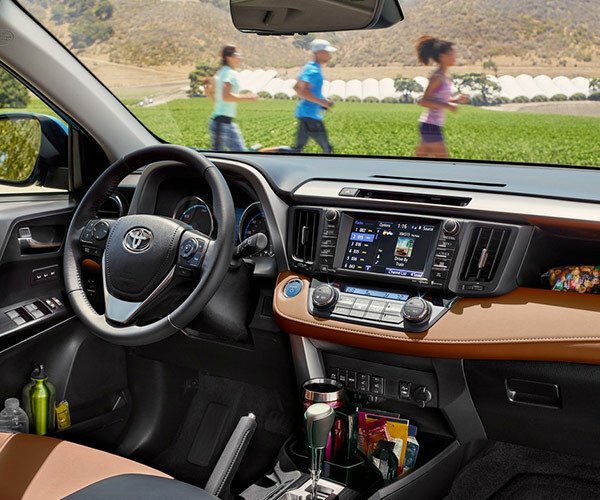 The 2018 Toyota RAV4 comes standard with both the Toyota Safety Sense™ P (TSS-P) and Star Safety System™ suites of driver-assistive technologies to help you drive with confidence. 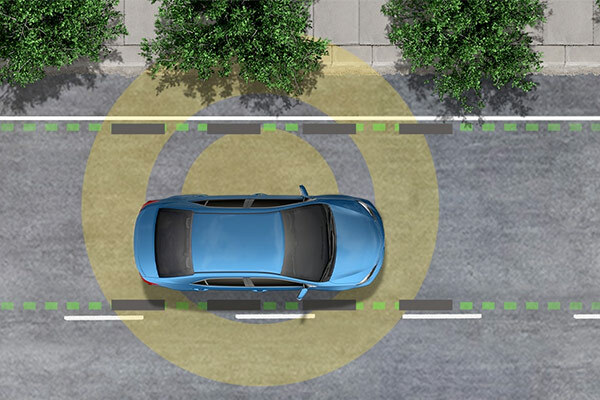 Life-saving features such as a Pre-Collision System with Pedestrian Detection, Dynamic Radar Cruise Control, Lane Departure Alert with Steering Assist, Brake Assist and more can all be found in these Toyota safety packages at no additional cost to you. Plus, the new 2018 RAV4 has been named a 2018 IIHS Top Safety Pick when equipped with LED Headlights to increase your peace of mind on every road. When you stop to do the math, the 2018 Toyota RAV4 is a no-brainer! 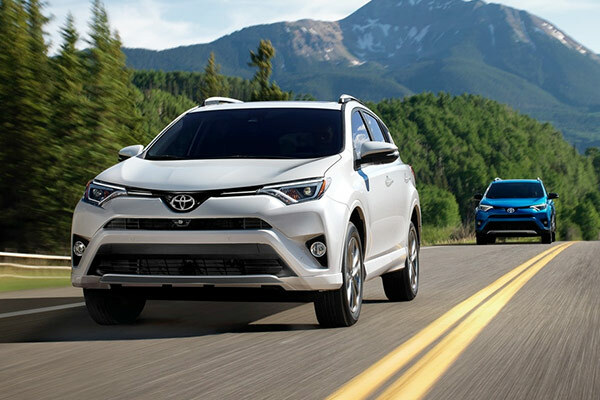 Compare the 2018 Toyota RAV4 to its competition and hurry into Peoria Toyota to buy or lease a new Toyota RAV4 SUV today!